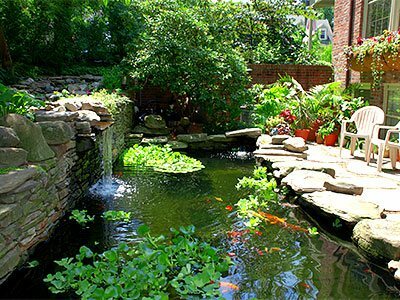 Ponds are a great feature to have in your garden, be it indoor or outdoor. There are thousands of varieties of ponds available today, some are readymade and some are hand built. No matter what kind of water feature you need, you will require a good landscaping company’s help. These water features are considered lucky in ancient concepts like Fengshui. Some people install them for aesthetic purposes while others to attract luck. Some companies like Unlimited Landscape Hawaii LLC have been providing landscaping services that include water features like swimming pools, in-ground pools and above ground pools for several years now. They exactly know what type of water feature would fit their customer’s needs. Nature appeals to everyone and most of us would like to live in a natural setting. All humans share an intimate bond with nature and try to mimic its patterns in our daily lives. When it comes to our living spaces, we often design our gardens to look and feel like nature. Water features; especially bring in peace and calmness to our living spaces. The soft music that water creates has soothing effect on our psyche. Ponds are top on the list of landscape designers when it comes to water features. One can add sea creatures and beautiful marine plants to the water bodies to make it more appealing. Why Do You Need Commercial Services? Building ponds takes a lot of effort and planning. There are hundreds of aspects that have to be considered like water proofing, location, space and maintenance. A residential owner or office owner cannot look into these details all by themselves. You need someone who has the knowledge and expertise to take care of it and keep it in good shape regularly. Every season brings its own challenge in terms of maintenance. When you first install a water body in your outdoor or indoor garden, it looks very attractive, but within a few months you will notice that the water needs to be changed as it looks murky. So who is going to perform these effort taking tasks for you? No matter how much you want a pristine and beautiful looking garden, budget is always a concern for many garden owners. Gardens are a pleasure to have at home or your place of business. However, it shouldn’t seem like you are spending a huge amount just to keep it going. There are professional companies which offer package deals that are affordable and efficient. For a passionate garden owner to find the right garden and landscaping company should not be a challenge. There are many top-of-the-line landscaping companies in Hawaii that can take care of all your gardening needs. 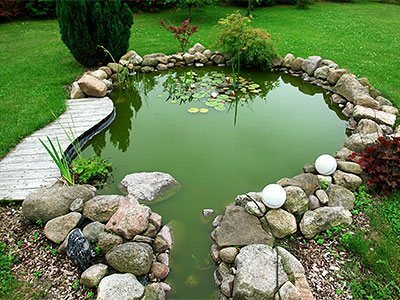 If you live in Hawaii and you are looking for professional services to design and install ponds then Unlimited Landscape Hawaii LLC is the right choice. We have years of experience in building and maintaining landscapes, including water features. We offer quality services at affordable prices in Wahiawa, Makakilo, Kailua, Kahala and many other places.